The automotive technicians have higher demand in the highly developed countries. However, these are also in demand in countries like China, South Korea and other nations that have recently stepped their feet in the list of developed nations. Currently, more than 65% of the candidates are hired by automobile firms in developed nations like U.S, Germany, Japan etc. This shows that one needs to relocate from their homeland to these countries to secure a good job of an automotive technician. The review is written by our best LinkedIn profile writers and primarily based on LinkedIn’s All-Star level of completion. 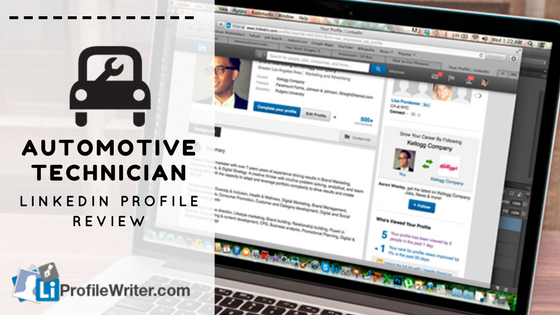 A complete profile helps you be found by your future employers or clients. Your profile picture and headline are two of the most important and most viewed elements of your profile. As LinkedIn as a professional social network, your profile picture should reflect the professional that you are. Instead of ‘unemployed at N/A’, consider updating your headline to give a short overview of your background relevant to the type of position you are seeking. 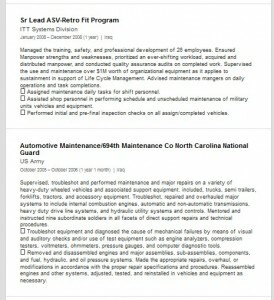 One example includes ‘Navy Veteran Seeking Automotive Technician Position’. Use your summary section to give an overview of your career and the types of positions that interest you. Consider attaching your resume here as well and allow recruiters and future employers to review your full background as they view your profile. The ‘play with my grandkids’ information under ‘unemployed’ may need to be reviewed as it does not reflect you as a professional. Consider asking close colleagues for recommendations that you can add to your profile. This will can help give further insight into your character and abilities. You might be also interested in our customer service agent Linkedin profile review. The lack of interest or less job offers through LinkedIn can be due to writing the poor headline. It can be irrelevant or with lots of grammatical mistakes. Personal profile photo increases the 50% chance to get noticed by the potential employers. Therefore, never create a profile without adding your personal photo. Skills are read by employers along with work experience and education history. Therefore, add the skills that are really in you. Build more connections and try to add people in large number even if you don’t know them. The use of buzzwords sometimes makes the readers annoyed. Everyone is Familiar that professionals are dedicated, hardworking, brilliant etc. Never think of adding walls of text in the summary’s section. Write to the point and concise info to be in the sight of employers. Study the profiles created by professionals on LinkedIn. Most importantly, follow the professional automotive technicians on this platform to see what they are up to. Try to follow all the way to convince employers for hiring you. However, the specific way of convincing should be subtle. Show the date and years of leaving each job along with the current one. Every employer is interested in your work experience. Ask from the professionals and make feasible changes in the profile. According to Malcolm Gladwell, “Practice isn’t the thing you do once you’re good. It’s the thing you do that makes you good”. Similarly, you should also show some patience and study the procedure of creating a LinkedIn profile. The practice of adding important data in various fields can make you able to impress the employers. These are some befitting tricks that can help you in standing out in the crowd for sure. The highly professional employees available on LinkedIn actually prefer reviewing their profiles at least once a month. This is possible if you read content in detail. Rectify the spelling and grammatical errors before making any other correction in the text work. 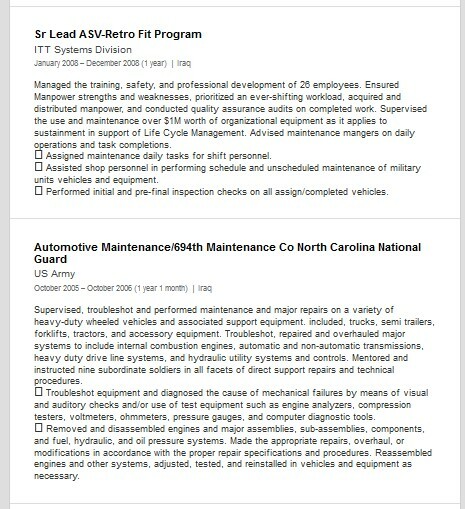 The summary’s section must have an adequate amount of information related to personal skills and abilities. The job duties you’ve performed or working on recently must be added in your profile. Focus on the profile photo or headline to update it properly. Make sure that both are important elements that can’t be taken for granted with no doubt.